VH1 SAVE THE MUSIC AND MUSIC UNITES KIDZ LOVE MUSIC ESSAY CONTEST! VH1 Save the Music and Music Unites have partnered to present the “Kidz Love Music” Essay Contest! 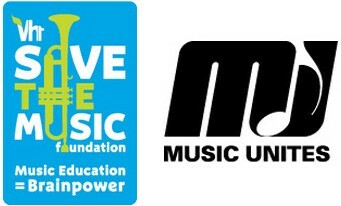 VH1 Save the Music is a non-profit organization dedicated to restoring instrumental music education in America’s public schools, and raising awareness about the importance of music as part of each child’s complete education. Music Unites is a non-for-profit association dedicated to funding and sustaining music education programs in under-served school districts throughout the country. ♫ 5 Lucky Students will win tickets to Kidzapalooza! ♫ Each winning participant will win one Kidzapalooza ticket along with a ticket for a supervising parent or guardian. ♫ The contest is open to all elementary school students in the Chicagoland area. Winners will receive a free ticket to “Kidzapalooza” on August 5-7, 2011 in Grant Park Chicago. ♫ Submission rules are simple: The kids must submit answers to several questions about why they love music to Kidzapalooza@musicunites.org! ♫ Kidzapalooza is THE concert event of the Summer for rock friendly families. From getting temporary tatz, a punk rock hair do, jamming out rock band style, learning a new riff and even throwing down a hip hop rhyme, Kidz will party down with their parents for an amazing interactive 3 day music experience! The deadline for submissions is July 1, 2011. E-mailed submissions will not be accepted after this date. Tell us why you love music! Describe why you think it’s important to have music in school? What’s your favorite kind of music and why? If you could meet any musician, who would it be and why? Eligibility. You are eligible to enter the VH1 Save the Music and Music Unites Contest if you are between grades 1st and 8th and live in the Chicago area. Prize. 5 winners will be selected to attend Kidzapalooza. Individual winners will be announced on July 25, 2011. Participants must be accompanied by an adult. One ticket will be provided to an adult/guardian. Judging. A panel of members from VH1 Save the Music and Music Unites will complete judging without any outside influence. Entry Deadline. Entries must be submitted by July 1, 2011. Entries e-mailed after July 1, 2011 will NOT be accepted. Publication. The winning entry in the Kidz Love Music Essay Contest may be published on vh1savethemusic.orgor musicunites.org. By submitting an entry in this contest, each entrant gives both organizations all rights, including express permission to publish the entry in all media without limitation, notice or compensation.